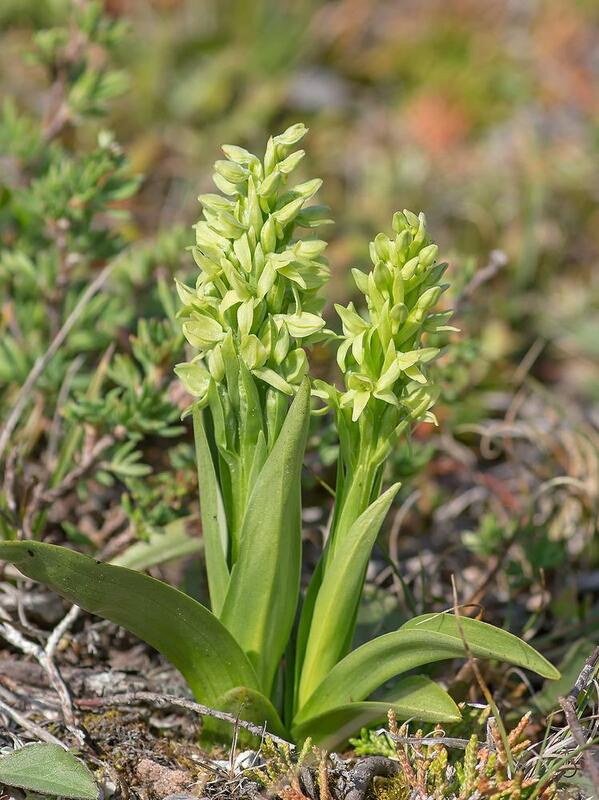 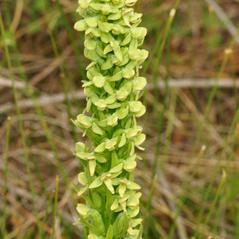 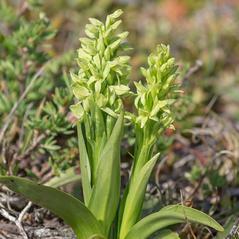 Platanthera huronensis, commonly called Lake Huron Bog Green Orchid, is distributed across the northeastern United States and Canada and disjunct populations in western Canada, Alaska, and from New Mexico to Wyoming. 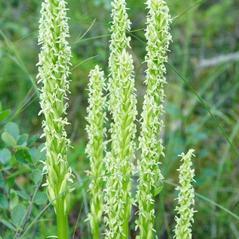 It produces several stem leaves and bears an inflorescence of whitish green flowers, which can vary greatly in number. 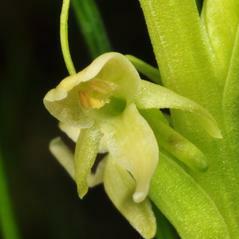 The labellum is often paler than the rest of the flower, and is wider at its base than at its tip. 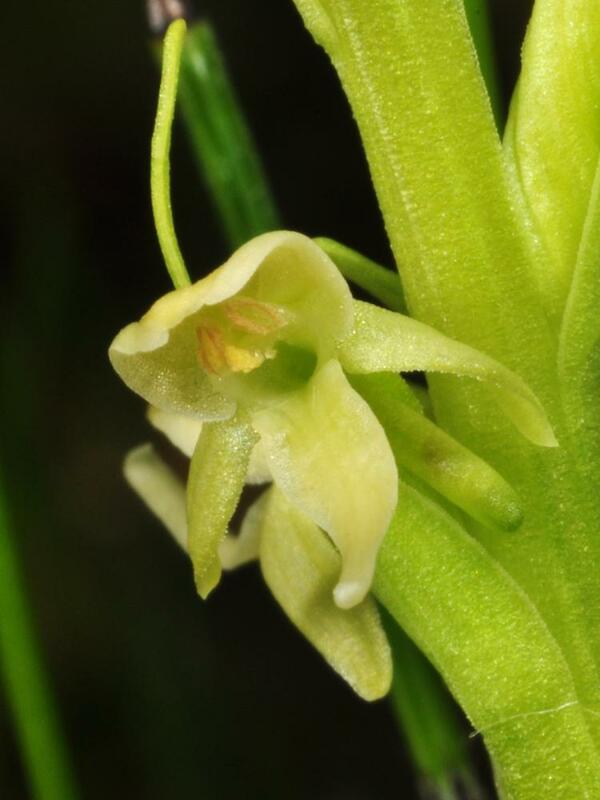 The flowers are typically intensely fragrant. 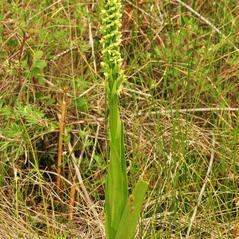 It can be found in wet meadows and woodlands, marshes, fens, bogs, and along riverbanks and roadsides. 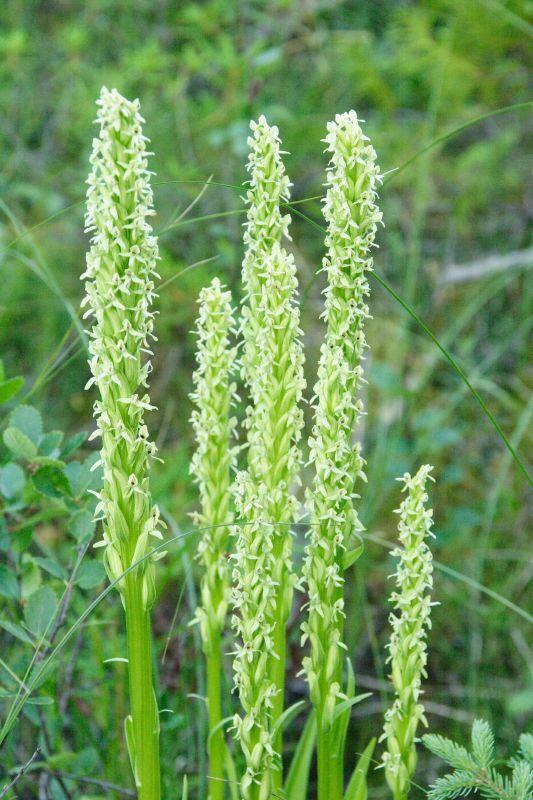 This orchid is thought to have descended from a cross between Platanthera aquilonis and Platanthera dilatata. 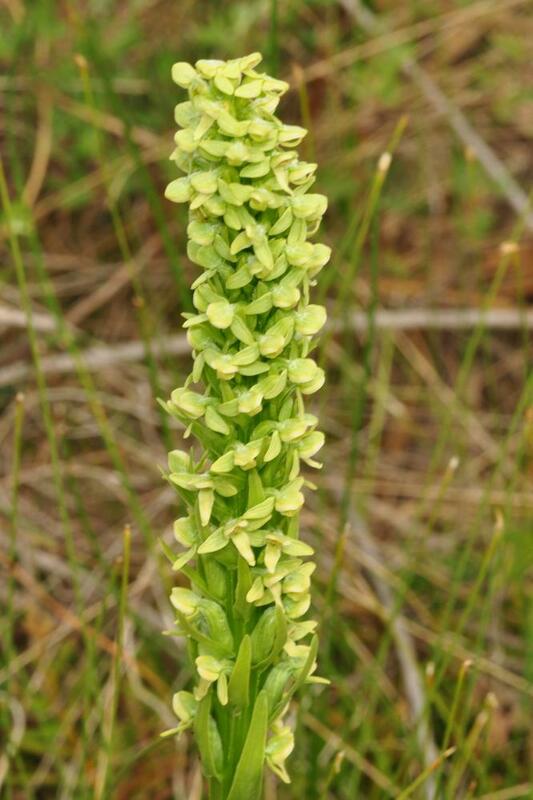 Platanthera huronensis is globally secure, but it is considered rare or threatened in several mid-Atlantic states. 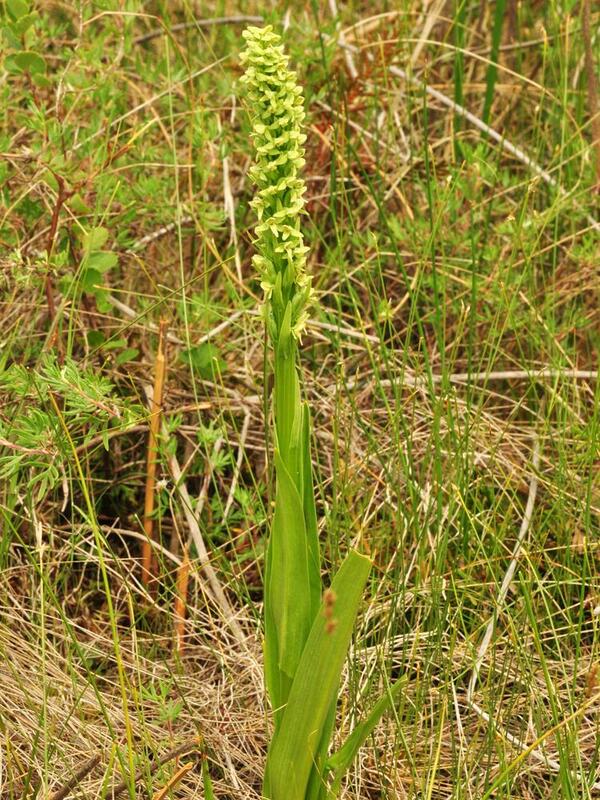 Pollinator information for this orchid has not been widely reported but small insects, mostly mosquitos, may pollinate this orchid.